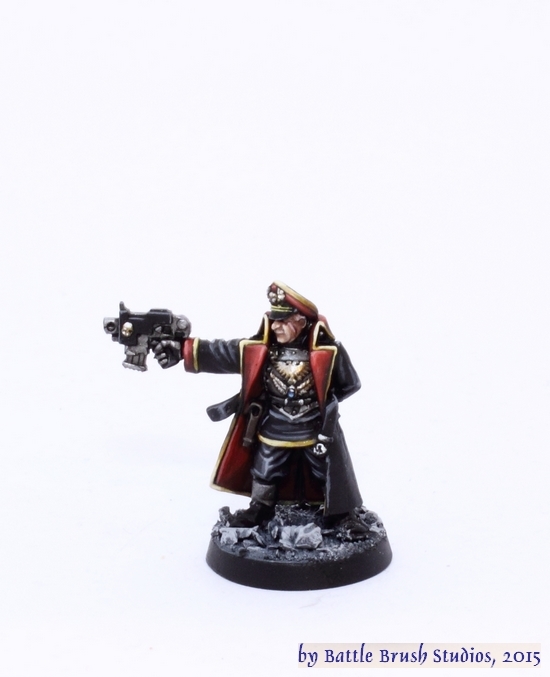 A Guardsman is nothing without leadership, so here we got a commissar! 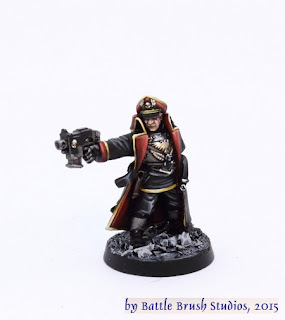 Because when no proper officers are around we'll have to resort to political officers. 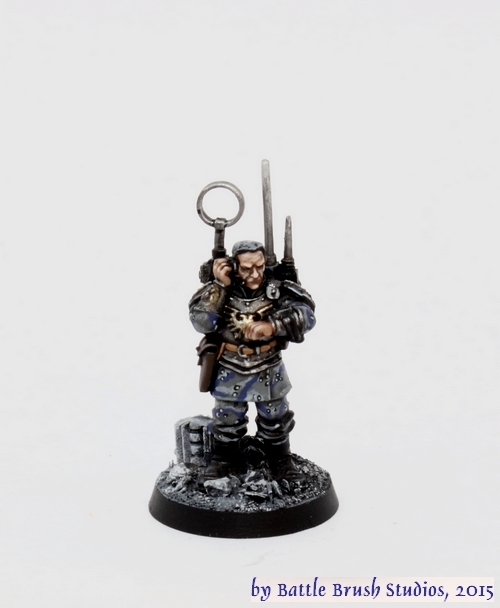 First time I painted one of those new commissars and I have to admit that it's a pretty fun mini. I painted him in the traditional Commissar look of course. I actually got one of those lying around myself somewhere. 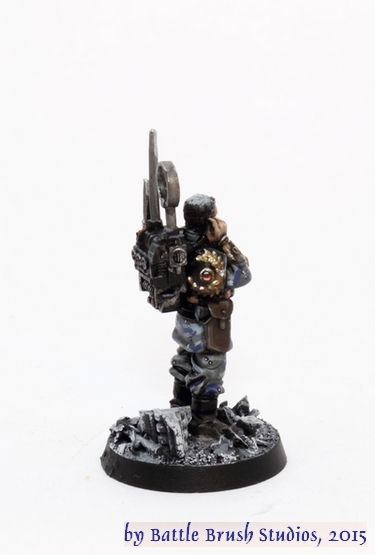 I always found it odd that he has to carry around his own VOX set. The good thing is that on this model they changed the position of the antennae around, so it's not just a metal version of the plastic Cadian VOX.